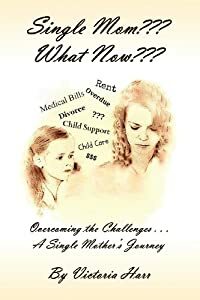 Do you know the unique challenges of being a single mom? Discover how to overcome those challenges rather than simply surviving from day-to-day. 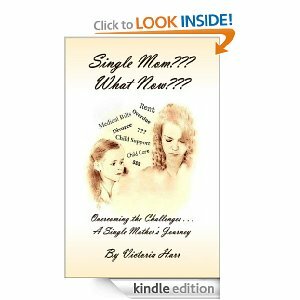 Victoria speaks from personal experience sharing both practical and spiritual insights to navigate through a single mother’s journey. As an E-BOOK, for all other reading devices such as your iPhone (or other smart phone), iPad, Barnes & Noble Nook, the Sony Reader, the Kobo Reader, and the Amazon Kindle reader, you may sample and purchase it for $6.99. What will your grandchildren remember about you? Just as Paul the Apostle recognized the legacy Timothy had received from his mother and grandmother, my prayer is that your grandchild will receive a spiritual legacy from you. This book can be the beginning or a continuation of passing on your memories. Whether your grandchild is presently aware of it or not, in time they will come to cherish what you will leave them. Unlike other fill-in-the-blank grandmother’s books, the interactive style divides a grandmother’s life into seasons, focuses on the depths of her soul, and does not simply include facts about her life. This creative book emphasizes several Biblical character's lives which will model that particular season, thereby enhancing each grandmother's life and enlighten the grandchild's understanding. This book seeks to eliminate the misunderstandings between natural talents or learned abilities, one’s natural temperament or personality, and the fruit of the Holy Spirit versus the gifts of the Holy Spirit. Woven within each teaching about the gifts, the author shares her very practical, yet supernatural, experiences in a vulnerable way with the desire that the reader will also yearn for these gifts for themselves, their families, and their church. Included are examples of Biblical characters displaying some of their different gifts. 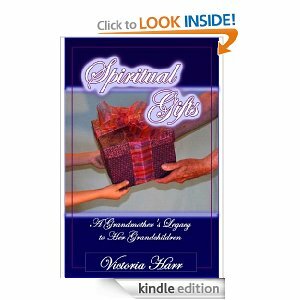 In addition, a spiritual survey is offered as one tool for the reader to identify or confirm their motivational spiritual gift(s) and begin using those gifts in ministry.